A US drone strike in Somalia has killed four senior members of al-Shabab, including the alleged mastermind of the Garissa University massacre in Kenya in April, a Kenyan interior ministry spokesman. The strike, which took place in the early hours of Thursday, claimed the life of Mohamed Mohamud, also known by the aliases of Dulyadin, Kuno and Gamadhere, who was on Kenya’s wanted list after the massacre, spokesman Mwenda Njoka said. “It was a US drone. 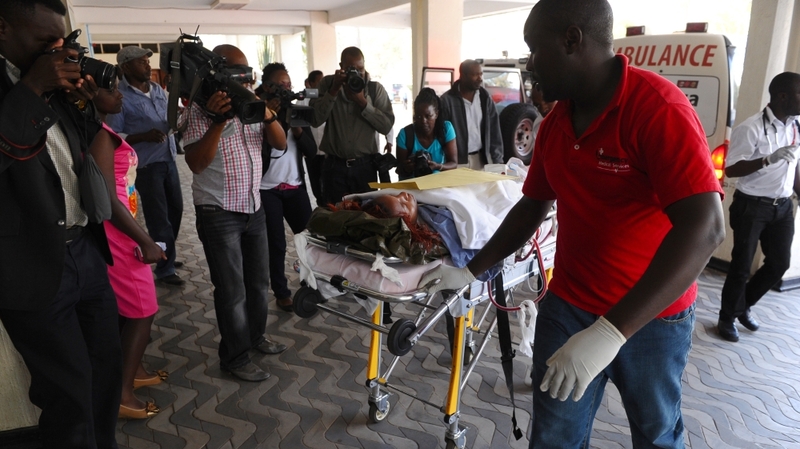 Kenyan forces usually provide ground support, information and intelligence on such strikes,” he told the AFP news agency. In April, four Shebab militants massacred 148 people at the Garissa University in Kenya’s northeast, in what was the group’s deadliest single attack to date. Most of the victims were students. The US has in recent years launched numerous drone strikes against Shabab leaders, including a strike last September that killed the group’s leader Ahmed Abdi Godane. Thursday’s attack came just over a week before US President Barack Obama is due in Kenya for his first visit to the country since he became president. Sources in Somalia confirmed an overnight air strike had taken place in a Shabab-controlled area of the war-torn country. According to traditional elders near Bardhere town in the southern Gedo region, at least two missiles struck vehicles believed to be carrying Shabab commanders. Immediately after the attack the mobile phone network in Bardhere was cut off, making it impossible to reach Shabab commanders for comment. Ahmed Bare, a Somali military officer in nearby Elwaq town, said that Shabab commanders have been leaving Bardhere, one of the few towns still held by the group, ahead of a planned ground assault by Somali troops.